The day finishes without any unusual incidents, and the group of friends plans for the upcoming cultural festival. Suddenly, the room is shaken by an unnatural earthquake. Everyone splits up to investigate—except for Nagisa Hanamiya, who stays behind. As everyone leaves, Nagisa notices that the odd relic-like cube that she was toying with starts emitting a strange blue light. Meanwhile, Sou stumbles upon an unconscious, naked girl lying in a pool of water. 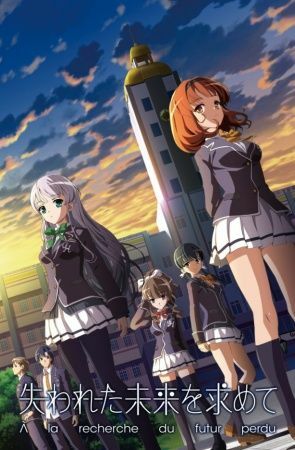 Ushinawareta Mirai wo Motomete follows the Astronomy Club’s increasingly bizarre adventures—from dealing with ghosts to quelling unrests between student clubs. All the while, they unravel the circumstances behind the sudden appearance of a new transfer student.